Two Lebanese nationals and a Syrian charged with gathering information on individuals and military targets for the Jewish state. Lebanese authorities announced Sunday they had arrested two Lebanese nationals and a Syrian on allegations of spying for Israel. working for the Israeli enemy in the south (of Lebanon)," the security service said in a statement. The statement said the three arrested were a Syrian man, his Lebanese wife, and a Lebanese man. The three were identified only by their initials. There were no details on exactly when or where the three were detained. The statement said the three had confessed to the charges against them, admitting they had gathered information on individuals and security and military targets. The three also allegedly filmed "sensitive" roads and other areas in southern Lebanon "and sent the footage to their employers to be used in later attacks." 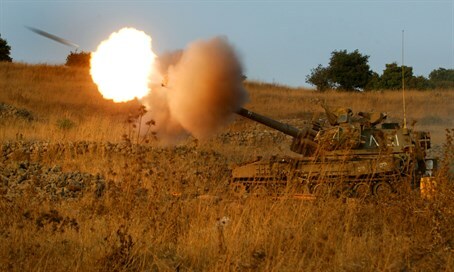 Lebanon and Israel remain technically in a state of war, with occasional skirmishes on the ceasefire line between the two. In 2006, Lebanon's Hezbollah terror movement instigated a month-long war with the Jewish state after raining missiles down on northern Israel and launching an ambush on two armored Humvees, killing three Israeli soldiers. That conflict killed more than 1,200 people in Lebanon, and some 160 Israelis, most of them soldiers. Last December, Hezbollah detained a senior party official on allegations of spying for Israel and "sabotaging security operations" abroad. Between April 2009 and 2014, Lebanese authorities detained more than 100 people accused of spying for Israel, most of them army members or telecommunications employees.